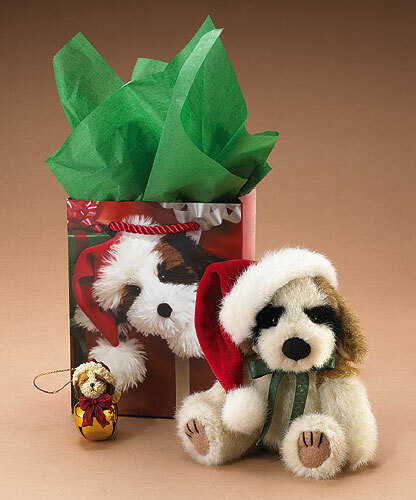 Issued for Fall 2007 Boyds Bears Gift Set -- We've never met a Saint Bernard who didn't like snow and Bernie is no exception. He stands 6" tall and comes with a knitted hat and resin peppermint orname.. 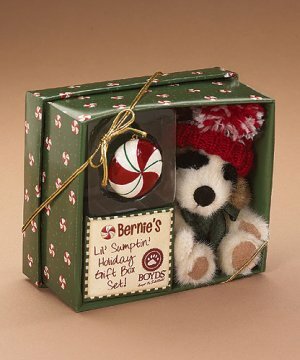 Issued for Fall 2007 Boyds Bears Gift Set -- We've never met a Saint Bernard who didn't like snow and Bernie is no exception. He stands 6" tall and comes with a knitted hat and resin peppermint ornament, and is gift boxed for easy gift-giving!